FRAMINGHAM, Mass.--(BUSINESS WIRE)--International Data Corporation (IDC) today announced that Crawford Del Prete has been named by its parent company, International Data Group, Inc. (IDG), as IDC's new President. 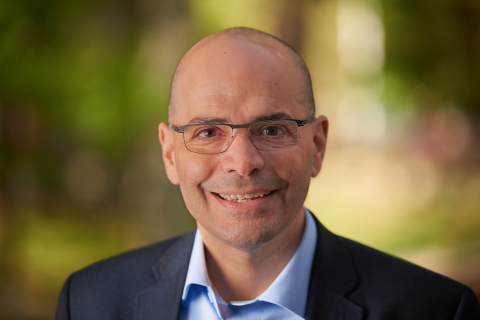 Del Prete, who is currently IDC's Chief Operating Officer (COO), will assume the new role on February 1, 2019. He succeeds Kirk Campbell, who recently announced his retirement after leading IDC for more than 27 years. "Having worked for IDC in a variety of senior executive roles, Crawford has a deep understanding of our business, the industry, and the markets in which we operate," said Brett Liu, Global President and Executive Committee Chairman of IDG. "He is a strong, dynamic, and value-driven leader with an impressive track record of delivering consistent, high-quality results. We are confident that under his leadership, IDC will continue to prosper long into the future." "I am honored to have been selected as IDC's next leader. I want to thank the IDG board for its support and confidence in me. I also want to thank Kirk for his vision, commitment, and dedication to making IDC the premier global provider of market intelligence, advisory services, custom research, and events for the information technology industry," said Del Prete. "The next decade will be critical for businesses in every industry as they move forward on their digital transformation journeys and face the challenges of the digital economy. I am looking forward to working with all of IDC's employees to execute the next chapter of growth for this great company." Del Prete joined IDC in 1989 as an analyst covering the data storage market. Since then, he has held numerous research and management positions, playing an instrumental role in the creation of IDC's industry-leading research and advisory offerings. As COO, Del Prete oversees and directs IDC's worldwide research, consulting, marketing, product management, and client services business units, including IDC's Industry Insights businesses and IDC’s IT Executive Program, which specifically target the needs of technology end users. He also collaborates with IDC's senior management team to set the company’s strategic direction worldwide and oversee its product planning and research processes. "I have worked closely with Crawford for many years. He is uniquely qualified to lead IDC in this digital transformation era. It has been a privilege to work with the most talented employees and senior leadership team in the industry. I’m confident that their passion for creating insightful research and guiding our clients will continue under Crawford's dynamic leadership," said Campbell, who will continue to serve as a member of the IDG Board of Directors. International Data Group, Inc. (IDG) is the world's leading technology media, events and research company. IDG Communications' premium brands, including CIO®, Computerworld®, CSO®, PCWorld® and Macworld®, engage the most powerful audience of technology buyers providing essential guidance on the evolving technology landscape. Our global data intelligence platform activates purchasing intent, powering our clients' success. IDC, a subsidiary of IDG, is the premier global provider of market intelligence, advisory services, and events for the information technology, telecommunications, and consumer technology markets. With more than 1,100 analysts worldwide, IDC offers global, regional, and local expertise on technology and industry opportunities and trends in more than 110 countries. International Data Corporation (IDC) today announced that Crawford Del Prete has been named its new president by International Data Group, Inc. (IDG).